Formula 1 is having a “rethink” on camera positions in order to best reflect the true speed of the cars for viewers watching on screen. Last year Kimi Raikkonen recorded the fastest ever lap in an F1 car, clocking a 1:19.119 on his way to pole position at the Italian Grand Prix. It was an impressive achievement but didn’t translate quite that well to viewers watching on screen. This year FOM plans to adjust camera positions to give fans a clear indication of just how fast F1 cars are. 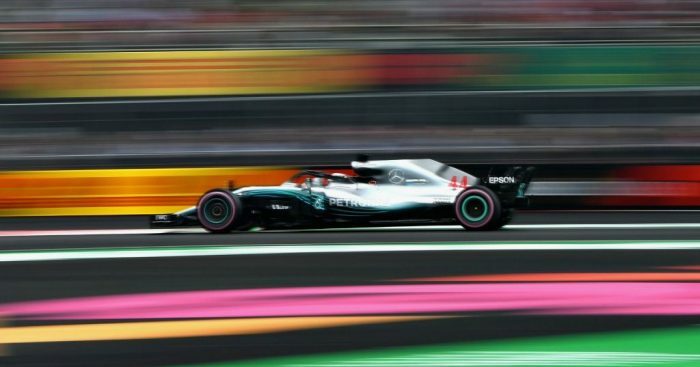 “There’s a big push for 2019 is to reflect the speed of the sport, and the pace of the cars,” F1’s head of TV and media Dean Locke told Motorsport.com. “There’s a rethink on all camera positions. If you’re in the grandstand and watch them, they look incredible, don’t they? “Camera angles, or lenses, can cheat that quite a lot, and make them look not so dramatic and not quite as quick. “So we looked at different ways to do that, a few little tricks. “We’ve always been good at doing whip-pans to show the high speed of the cars, making them look a little bit more edgy in places. But it is just not the visual that Locke wants to focus on. He added: “Audio has changed quite dramatically. We’ve done a lot more around the car and on the car. “If you look at the pictures, they tend to be at the front, and the audio out the back. A lot of thought went into that in 2018, and a lot more for 2019.